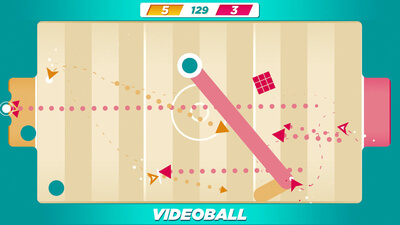 VIDEOBALL is a sport everyone can play! We researched basketball, football, soccer, first-person shooters, and real-time strategy games. 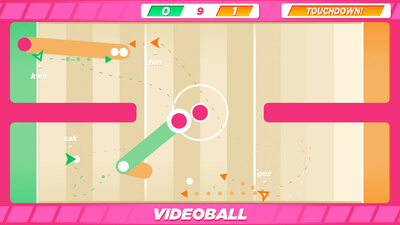 VIDEOBALL is a compact expression of all sports' mechanics. Use either analog stick or the directional buttons to maneuver. Use any button or trigger to project a triangle. Only triangles can displace balls. Hold your button or trigger to charge a bigger triangle. Bigger triangles push harder. Stun opponents or cancel triangles with other triangles. Push balls into the opposing goal to score points. Score more points in order to win. Win in order to Feel Real Good. Simple and stunningly fun multiplayer, both online and off, makes Videoball one of the surprise hits of the year. Every piece of Videoball feels crafted for competition, and even when I was getting whipped by the game's AI opponents, it was a joy to play. 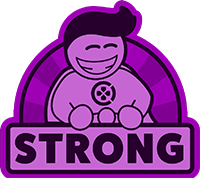 With the pinpoint control and endless playability of the best arcade sports experiences, the small team at Action Button Entertainment has invented something wonderful and new in Videoball. 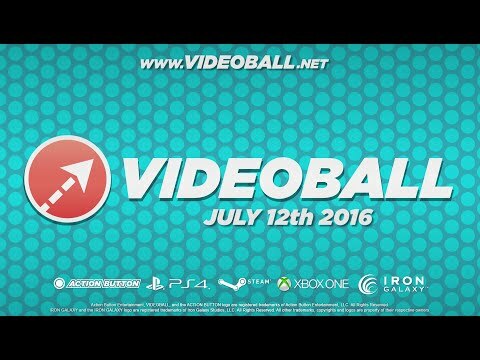 Don't sleep on Videoball. It might not be the future of eSports, but it is the future of several fun, sweary, elbows-in-each-others-ribs nights with your friends.